This product contains the harmonious combination of garlic and ginger. 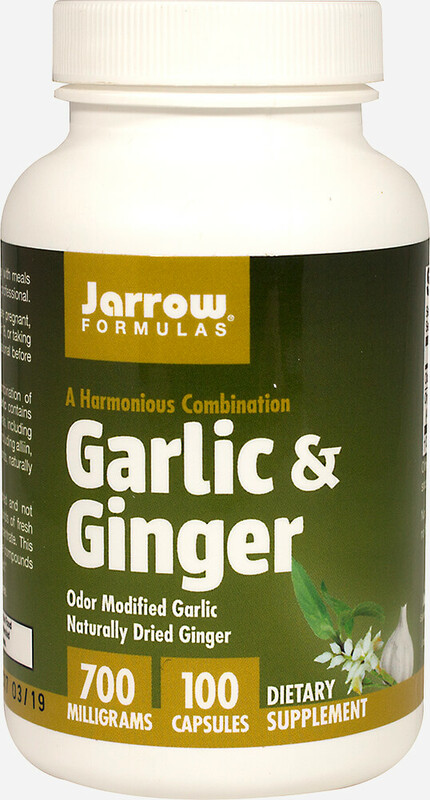 Jarrow Formulas® Garlic contains the original amino acids, vitamins and minerals, including selenium, and special sulphur compounds, including alliin, alliinase, allicin and diallyl disulfide compounds, naturally occurring in garlic. Jarrow Formulas® Ginger is naturally dried and not subjected to any additional heat.